My name is Mark Dunlea and I am chair of the Green Education and Legal Fund (GELF). Thank you for the opportunity to testify on how to strengthen the CCPA (Climate and Community Protection Act CCPA: A3876 / S2292) and to enact the best climate legislation possible. While the CCPA has worthwhile proposals on environmental justice and labor standards, the CCPA largely incorporates the state’s existing climate policies, starting with the 2009 Executive Order initially issued by Gov. Paterson and since renewed by Gov. Cuomo. The United Nations recent IPCC report warned that the world has 12 years to take dramatic unprecedented action to avoid climate destruction. The inadequate government response to climate change that the IPCC warned against are the type of existing policies in NYS that the CCPA incorporates. It is not the answer. The NYS Off Fossil Fuels Act / 100% Renewable Energy by 2030 (OFF Act: A5105 / S5908 in 2018) has a faster timeline for climate action than either the CCPA or the Governor’s budget proposal, and many of other stronger climate provisions including on a Just Transition. While the Governor has recently announced increased commitments to climate action, including a Green New Deal, most of his initiatives are being done administratively rather than through legislation. His budget proposals focus on finally convening the Climate Action Council and creating the state climate action plan authorized in the 2009 Executive Order. The Senate should also support the Green New Deal legislation introduced by Sen. Sanders, which combines a 2030 timeline for 100% clean renewable energy with a strong New Deal agenda of economic justice, including a guaranteed living wage job and universal health care. The Senate should combine the best of the provisions of the NY OFF Act, the CCPA and the Governor’s proposal into the strongest climate legislation possible. We need to move to 100% clean renewable energy, net zero greenhouse gas emissions as soon as possible. The OFF Act sets a goal of 2030. This is based on the “Jacobson” study by Stanford and Cornell professors. 2030 is also the target date of the federal Green New Deal proposal. 2035 for electricity and transportation is the target date for the federal OFF Act, which last session was sponsored by every Congressional Democrat from NY except one. The US conference of Mayors has 2035 as a goal. The Governor has proposed that 70% of our electricity come from renewable energy by 2030, and by 100% carbon free by 2040. He continues however to use the state’s existing 2009 goal of an 80% reduction of greenhouse gases by 2050. NYSERDA for two years has done a study on how fast we can get to 100% but won’t release even a draft. The CCPA calls for 100% clean energy by 2050, but was amended to list the Governor’s updated goals on electricity. The OFF Act has provisions to ensure that renewable energy goals by individual utilities are met. It also calls for carbon offsets by putting carbon back into the soil through regenerative agriculture. The state needs to enact a ban on the development of new fossil fuel infrastructure and start a phase-out of existing fossil fuels. The OFF Act calls for a halt to new fossil fuels infrastructure; the CCPA and the Governor do not directly address this issue. The state needs to strengthen its monitoring of greenhouse gas emissions, including methane leakage. The state needs to be clear that the use of natural gas must be ended. This is a critical issue Throughout the world we have seen greenhouse gas emissions continue to rise even as the use of clean renewable energy like wind and solar has significantly expanded. We must be clear that we have to immediately halt any new fossil fuel infrastructure while we rapidly phase-out existing uses of fossil fuels. The state needs strong commitments to a Just Transition and Environmental Justice. It must ensure that low and moderate income people are able to participate in the renewable energy future. The CCPA has strong worker standards that should be adopted. The OFF Act has detailed Just Transition provisions to ensure that the needs of existing fossil fuel workers and communities dependent upon such plants are meet. Funding must be dedicated to assist disadvantaged communities. The legislation needs to set targets and goals for transportation and buildings, both of which account for a third of the state’s carbon footprint. As the OFF Act proposes, NY should adopt California’s requirement that new residential buildings to be net zero carbon emissions, with solar, by 2020; all new buildings must by zero emissions by 2030. The state needs to strengthen programs to energy retrofit buildings. We also need to move to clean renewable heat (geothermal, air heat pumps for buildings). When public housing replacing old gas boilers, it needs to switch to renewable heat. The OFF Act sets a goal for all new vehicles to be Zero Emissions by 2025. The State needs to dramatically increased its investments in recharging stations and other infrastructure to make this happen. Funding for mass transit statewide must be significantly increased. The State needs to adopt a strong climate action plan, with clear two-year benchmarks, timelines and activities. There should be an annual report to the legislature. Similar to California, the OFF Act requires climate plans for county and local governments (of more than 50,000). There must be ways for labor and community groups to fully participate in the planning process, not the fossil fuel industry. There must be a commitment to energy democracy. 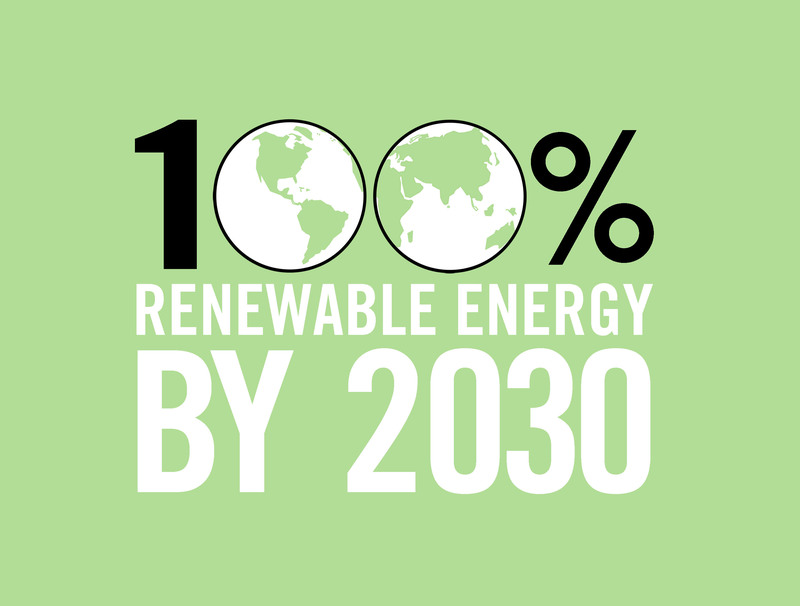 The debate over whether 2030, 2040 or 2050 should be our timeline for 100% clean renewable energy is critical. Even more important however is what is our goal for increased renewables and reduction of greenhouse gas emissions in 2020, 2021, and 2022. The state has consistently failed to achieve the various climate change goals that Governor starting with Pataki have adopted. While the Governor requires a climate action plan, the CCPA only requires a scoping document. The various climate action plans need to be legally enforceable. Like California, the right for citizens to legally enforce the climate plan should be included in the legislation. State and local agencies must be required to adhere to the climate plan; the provisions within the CCPA to do this must be significantly strengthened. Neither nuclear power or biomass are clean, safe, renewable energy sources and should be phased out. The State should support public / community ownership and democratic control of the energy system. Public ownership is one way to accelerate the development and siting of large-scale renewable energy systems while lowering costs. The state should increase its support of Community Choice Aggregation and municipal utilities to enable local communities to democratically determine how their energy needs are met. NYPA should be empowered to build renewables and to provide energy to more customers. The United Nations last month announced that we have 12 years left for an emergency worldwide mobilization – unprecedented in human history – to halt the use of fossil fuels and eliminate greenhouse gas emissions. They also made clear that we need to try to keep global warming under 1.5 degrees (C), rather than the 2 degrees which has been the target of much of New York’s climate policy. The higher target of 2 degrees is reflected in the 2009 Executive Order on climate; the various climate goals set by the Governor; and the various bills the Assembly have passed since 2009 (including the Community and Climate Protection Act). Even 1.5C of warming would have brutal consequences, according to the report. Poor people, in particular, would suffer as the threat of food and water shortages increase in some parts of the world. The legislature should not reinforce out-of-date climate targets previously adopted by NYS that promote a goal of degree centigrade, as the CCPA repeatedly does. For instance, the target for reducing carbon levels should be 350 ppm, not the 450 ppm articulated in the CCPA. We are already over 410 ppm. While Governor Cuomo has proposed a goal of 100% clean electricity by 2040 (and 70% renewables by 2030), he still is calling for only an 80% reduction in greenhouse gas emissions by 2050. This is inadequate. We also need to avoid using carbon offsets to meet this goal (e.g., paying people elsewhere to plant trees). We need to avoid language the provides the opportunity for fossil fuel industries to continue the business-as-usual practices of extraction, transport and combustion. The NY Off Fossil Fuels Act has stronger climate planning process than either the Governor or the CCPA (which actually only calls for a scoping document, and has weak requirements for compliance by state agencies). Our proposal also follows the California model in requiring that counties and local governments with 50,000 residents also adopt and implement such a plan. It is critical that state and local agencies must be bound by such plans and that citizens have the right to legally enforce such plans. We urge the Senate to pass legislation to direct the Public Service Commission and other relevant state entities to halt the mandate that consumers provide $7.6 billion in subsidies to keep old, unsafe, uncompetitive nuclear power plants open in upstate New York. Energy efficiency measures and newer, cleaner, renewable sources of power are more cost-effective, better for human and environmental health and create more jobs.